Investing is traditionally thought of as a male-centric activity, but women may actually be better suited to taking the bull by the horns. Here’s why. Keen on long term relationships and with an eye on a secure future, it’s no wonder that women make better investors than men. According to the recent Emerging Affluent Study 2018, conducted across 11 countries, it’s women that are leapfrogging up the social ladder, exceeding their parents at every level and successfully “supercharging” their fast track to financial independence. Globally, 55% of this “supercharged” group are women, outstripping their male counterparts. So, it’s no surprise that research by the Harvard Business Review has revealed that women investors in Asia are increasingly generating their own wealth and are more assured of their financial literacy than their spouses. Here’s why women may actually be better at investing than men. In general, women are less likely to engage in short term trades compared to men. A study by the University of California, Berkeley, published in the Quarterly Journal of Economics found that men make 45% more trades than women. 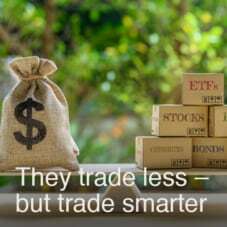 The more you trade, the more likely you are to eat into your returns paying trading fees. On the flip side, sticking to a fixed portfolio of stable, low-yielding assets, helps to increase the stability of investment habits, and keeps you from making impulsive investment decisions. Women have long-term goals, which guide their investing habits. They are known as “buy and hold” investors, who are saving up for milestones such as their child’s university education and their own retirement. Based on a national survey conducted by financial services firm LPL Financial, women investors tend to research potential investments in depth before deciding on their asset allocations to ensure they can benefit from better portfolio returns. 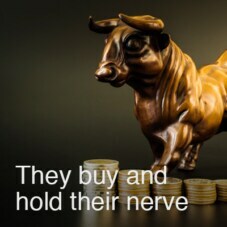 A study co-authored by researchers at the University of New South Wales and University of Sydney Business School also revealed that women investors are more likely to follow stable trading patterns, buying underpriced stocks and selling overpriced stocks over both short- and long-term periods, making the most of the opportunities offered by fluctuating markets. 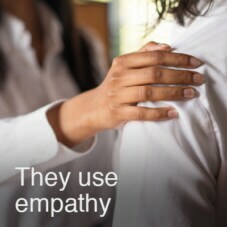 The same study by the University of California, Berkeley, highlights how neuro-economists have found women to be more empathetic and tuned in to cues. This, they say, may enable them to enjoy greater trading intuition. Women’s investment success may be in part to their willingness to ask for expert help. Research by financial services company Fidelity revealed that close to 10% more women used professionally managed accounts compared to men. Among male investors, 64% preferred to manage their own investments4. Want to supercharge your financial success? Click2Chat with us today. We are here to help.